A theme to many of these Facade Friday! posts that I see emerging is that I am drawn to facades that are screen-like in nature. I also am very intrigued by facades that are active and use non-traditional materials and/or traditional materials in a new manner. 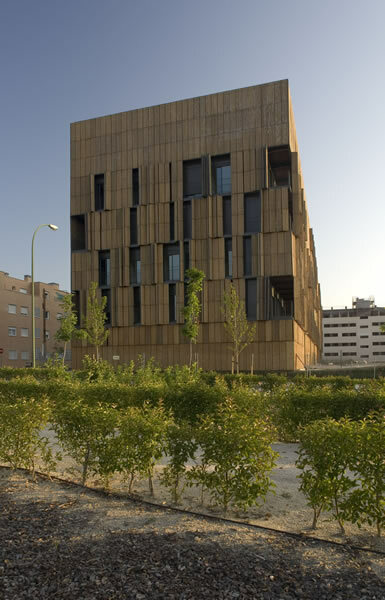 The facade of the Carabanchel Housing project by Foreign Office Architects (I know, great name!) incorporates all of these qualities. 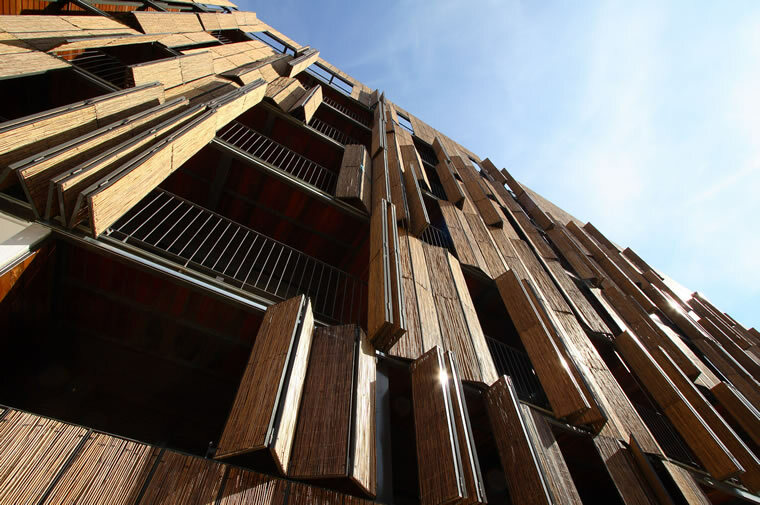 The bamboo is a sustainable material, and the screening also helps to keep the building cool. 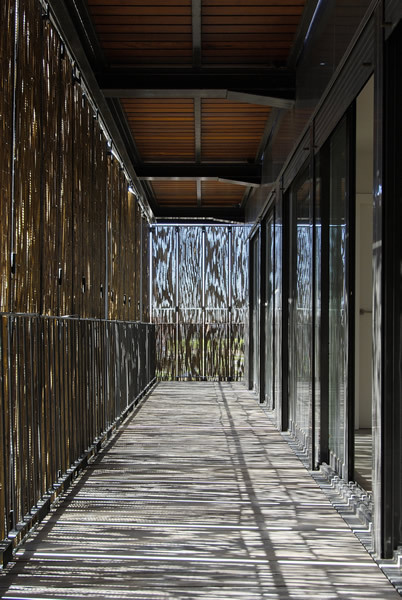 The bamboo screens actually act as louvers, letting breezes through while keeping solar gain out. The participatory aspect of this facade is also great. I love how the proportions of the facade will change daily based on who has their screens open and who has left them closed. 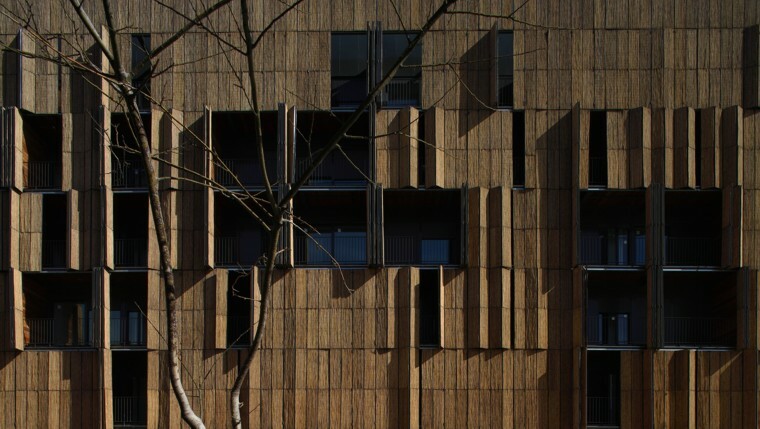 Plus, the screens when opened add an additional layer of texture and chunkiness to the facade. The overall effect is very nice.